The 66th Republic Day Celebrations has a historical memorable for Indian because it not happened. Obama, the first US President to be the Chief Guest at the Republic Day celebration. The Indian BSF officer show surprise activity on the Republic Day parade. 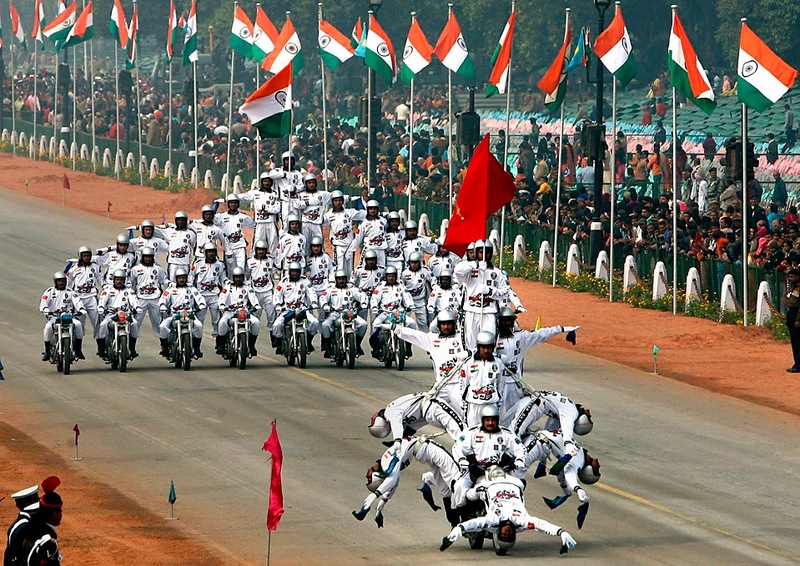 US President Barack Obama would "not drive" a motorbike after watching the daredevil motorcycle performance by BSF personnel at the Republic Day parade. Indian BSF show many activities on the Republic Day parade. US President Barack Obama surprise to see the performance of the 'Jaanbaaz' bike riders. 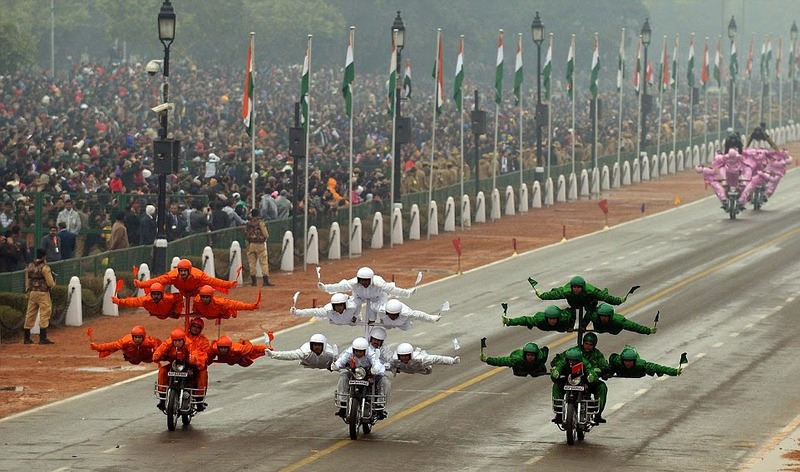 Obama was so impressed with the acrobatic skills of the BSF's motorcycle contingent on Rajpath on Monday.